Exactly one year after the tragic death of Andrei Aleksandrov, his friends and colleagues once again got to the start of the Bulgarian Rally Sliven, so as to pay tribute to his friend, colleague and teacher. 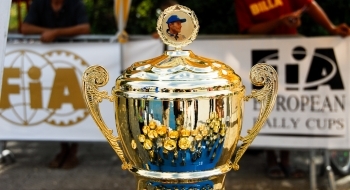 Along with awards for the race prizes, the special one was handed – Alexandrov Cup. The young and little known at the time crew of Todor Slavov and Dobromir Filippov had became the winners of the Trophy; the organizers had been surprised by their high result – the first in A7 class, and the third (!) in overall classification, won at a simple Renault Clio R3! Time has shown, the advances, the crew had been issued, were for a good reason: in 2009, Slavov spent a full season in the European Championship, and a year later debuted in World Rally Championship. The highest achievement of the Bulgarian is currently second in the Junior WRC Rally Catalunya in 2010. Aleksandrov Cup has been awarded at the same year to the Ukrainian crew – it happened at the Rally Galicia, the third stage of the Ukrainian Rally Championship, which took place in Lvov. This time the Cup was to be awarded to the fastest crew, meaning those who will win the majority of specials during the race. The crew of Yuriy Protasov and Oleksandr Gorbik from Kiev had became the team who succeeded not only at Rally Galicia, but also went on to become the undisputed Champions of Ukrainian Rally in 2008. First race which had been called Alexandrov Rally was held, where Andrei spent most of his life – in his hometown, of Odessa. The competition, which brought together 47 top crews from all over Ukraine, started at one of the central area of so-called South Palmyra, where organizers held a beautiful and touching ceremony for the opening race. The next day, the drivers were assigned to overcome the six special stages, passing near the village of Marinovka, on the track, which traditionally hosts the race of the Limans Cup. The result of the competition has turned out quite expected: in the race there was no equal to the Champion of Ukraine Alexander Saluki Jr., whose co-driver at this rally was the widow of Andrei, Oksana Aleksandrova. Already at the second year of its existence, Aleksandrov Rally has reached the highest national level – the status of Ukrainian Rally Championship round. Along with the series place shift, the race has been changed as well – this time the capital of Ukraine hosted Aleksandrov Rally. As in the previous year, the opening ceremony of the competition was held at a central square of Kiev, after which the race was moved to the suburbs, on a specially prepared tracks near the towns of Boyarka and Byshev. We must consider that this rally has been, in many ways, experimental and innovative for the Ukrainian Championship: the drivers had to overcome almost 120 km of ground specials just in one day, and with only one single visit to the service park. 17 of 39 crews who took part, passed the nasty weather challenge, but the overall classification rally winning had been celebrated by the Kiev duo of Valeriy Gorban and Yevgeny Leonov. In 2011, proceeding with the principle of rotation, Aleksandrov Rally was first held in region of Bukovina – where Andrei Aleksandrov started and finished a race for the last time in his life. 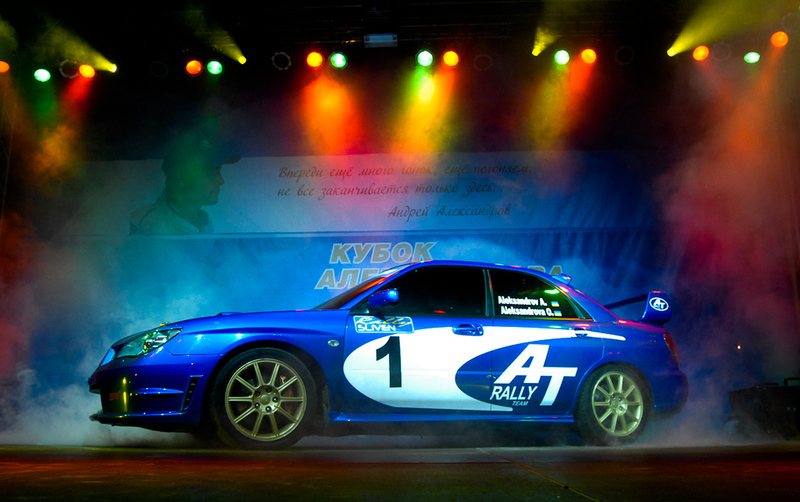 Andrey valued Carpathian special stages highly, calling some of them "our Ukrainian Finland". Not surprisingly, the participants of Aleksandrov Rally Bukovina were satisfied with the race, again held as the round of Ukrainian Rally Championship, as well as FIA observer Wolfgang Gastorfer. His presence at the event meant the fact that the 2011 competition had the status of an international candidate. The high level of organization, excellently arranged special stages, heavy fighting in all classes – all this became the reason to include Aleksandrov Rally to the calendar of the FIA European Rally Cup (East) in 2012. 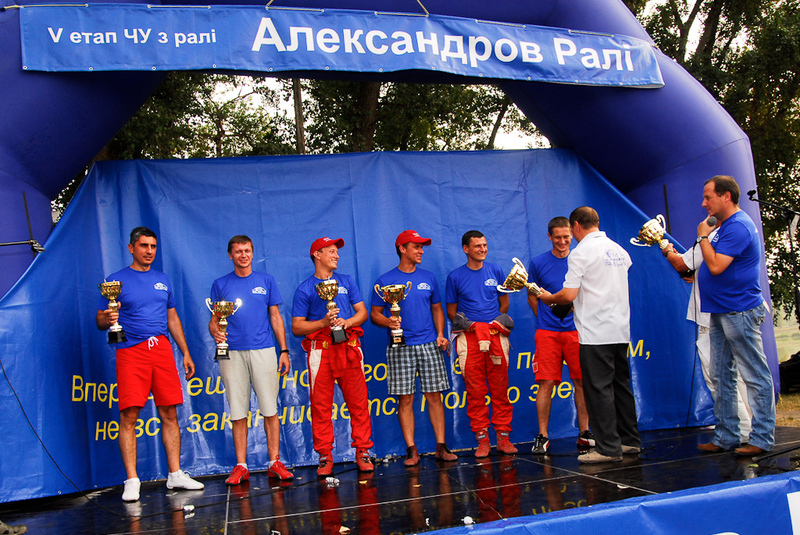 Well, and a triumphant of the 2011 event was the crew of Alexander Salyuk, Jr. and Eugeniy Chervonenko.